But then I saw the lights behind him, and the night took shape into a turreted stone manor with bright lamps blazing and gargoyles on the roof vomiting rain into a stone courtyard. It wasn't until a chance aquaintance read something I wrote and said, "have you ever considered being a writer?" that something clicked and I realized it was possible. My husband encouraged me, and I quickly fell head-over-heels in love with writing and children's literature in particular. I started out writing articles, which have appeared in Faces, Appleseeds, and Calliope magazines, and stories for younger children. I soon realized I wasn’t sweet enough to write fiction for that age and found myself writing young adult literature instead, which doesn’t require nearly as many tender moments and includes a lot more cursing. When I'm not writing, I can usually be found horseback riding, day dreaming at coffee shops, or hiking in the beautiful mountains of Western North Carolina. I love to hear from readers, so please drop me a line! 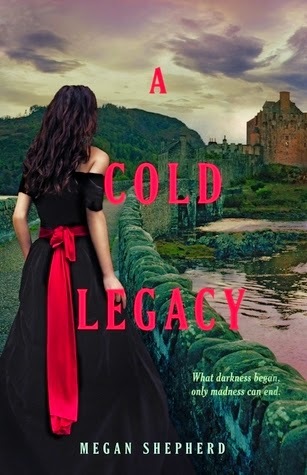 1 winner will receive a signed copy of A COLD LEGACY and swag! US Only. 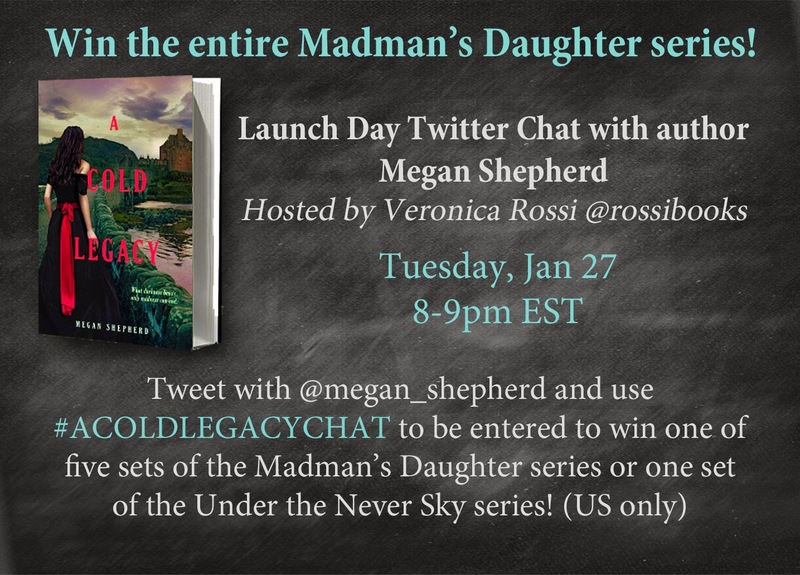 Ends on February 6th at Midnight EST! This is on my wishlist, so hopefully I will get it soon.